Victory over Watford at the Hawthorns on Saturday would bring the Baggies level on points with the Hertfordshire club who have had a positive start to the season under new boss, Marco Silva. The Hornets currently sit in sixth place with the only blots on Silva’s Watford copybook so far being a disappointing home defeat to Bristol City in the Carabao Cup and a 6-0 home drubbing by Manchester City. They have won all three of their games away from Vicarage Road so far this season, at Bournemouth, Southampton and Swansea, so as they travel north for the first time this campaign, they will come up against a Baggies team defending an unbeaten league record at home. Having opened with a 1-0 win over Bournemouth, Albion were held in their next two home games against Stoke City and West Ham and, without a win in five in all competitions, the Baggies will be keen to get back on the winning trail this weekend. The side that will line up for Watford on Saturday will be much changed from the one that lost 3-1 at the Hawthorns last December. Silva has made a number of new additions over the summer to a squad that was in dire need of a refresh having lost the final six games of last season. At the back, Spanish full-back Kiko Femenía has been very impressive and it is, perhaps, no coincidence that he was absent from the games against Liverpool, Bristol City and Manchester City in which the Hornets conceded twelve goals. The former Alavés, Barcelona and Real Madrid man has started Watford’s other four games this season, and the equaliser from Tammy Abaraham last Saturday is the only goal they have conceded in those games. Up front, long-time Albion target, Troy Deeney, has been relegated to the bench in favour of new Brazilian signing, Richarlison. The £11 million signing from Fluminense scored on his debut against Bournemouth and also scored a last minute winner at the Liberty Stadium last time out. Richarlison has been supported by another new signing, Andre Gray, who joined in early August from Burnley for an undisclosed club record fee and he was also on the scoresheet at Swansea, his first for the Hornets. The midfield is also strengthened with the addition of Tom Cleverley from Everton, England U21 star, Nathaniel Chalobah, from Chelsea and Will Hughes from Derby. Cleverly and Chalobah have both featured regularly this season, although Chalobah suffered a knee injury last week and will be out for while. Meanwhile Hughes, a much sought-after youngster a couple of years ago, made his one and only appearance so far in the cup defeat to the Robins. They have also been joined by Peruvian international, André Carrillo, on loan from Benfica. 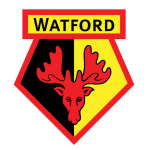 Given their away record this season, Watford will travel to the midlands full of confidence but, despite losing their last two, Albion can take positives from both defeats. Against Manchester City last week, their second half performance was full of promise and arguably good enough to have deserved to take the game to extra time, while at the Emirates on Monday, a couple of refereeing decisions going the other way could have produced a very different outcome. However, in both matches, only one half has been of the required standard and the standard of finishing from Albion has been poor, particularly against City. I always thought we needed another striker in the window, and nothing so far this season has persuaded me otherwise – if Albion are to get the three points this weekend, they need to be at the right level for 90 minutes and they need to take their chances. Last season’s purple patch between November and February was shaped by the Baggies’ ability to make the most of their chances – we need to see that again if they are to secure another top ten finish. Saturday’s game will be the fifth meeting of the club’s in the Premier League with the visitors ahead by two wins to one. Overall, the Hornets have managed just four wins at the Hawthorns in eighteen league games although they did win on their first ever league visit in 1983 when John Barnes, Nigel Callaghan and Jan Lohman found the net in a 3-1 win – Martin Jol scored a consolation for the Baggies. The attendance that day for a Division One fixture was under 12,000. All Watford’s other victories at Albion have been by one goal to nil, with the most recent coming in April 2016 when former Baggie, Ben Watson, found the net. The 3-1 win last season is Albion’s biggest home win over Watford in the top flight, but the Championship match on Halloween 2009 was somewhat scary for the visitors as Jonas Olsson, Graham Dorrans (penalty), Luke Moore, Gianni Zuiverloon and Simon Cox produced a comprehensive 5-0 victory for Roberto di Matteo’s team. Perhaps the most memorable match between the sides came at the Hawthorns in 1996 when Albion were 3-0 inside half an hour, and 4-2 up with five minutes to go, only for it to finish 4-4. Colin Foster and Craig Ramage got a brace a-piece for the visitors while a Bob Taylor hat trick and one from Richard Sneekes didn’t prove enough for the hosts. Either Albion’s unbeaten record or Watford’s 100% away record will go this weekend. It is likely to be a tight game and, while either side could win, I think it will finish all square.